Cloudy early with scattered thunderstorms developing this afternoon. Storms may contain strong gusty winds. High 84F. Winds WSW at 15 to 25 mph. Chance of rain 40%..
SEBRING — South Florida Water Management District Governing Board officers were not readily available Friday and staff members could not comment on Gov. Ron DeSantis’ call for resignations of the all-volunteer board. 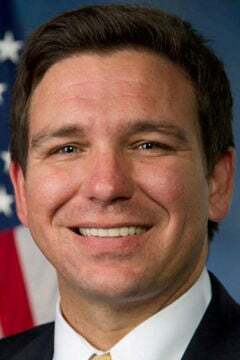 DeSantis made the call for resignation Thursday during a stop in Stuart to discuss his major water policy reforms, reportedly to protect and improve Florida’s water resources. The letter stated that voters had spoken in support of the bold vision DeSantis outlined Thursday toward Everglades restoration and other objectives. Federico Fernandez, chair, with term until March 2020. Brandon Tucker, vice chair, with term until March 2021. Sam Accursio, with term until March 2019. Rick Barber, Big Cypress Basin Board chair, with term until March 2019. Carlos Diaz, with term until March 2022. James J. Moran, with term until March 2019. Dan O’Keefe, with term until March 2020. Jaime Weisinger, with term until March 2021. When contacted for comment, staff referred the Highlands News-Sun to both Fernandez and Tucker. Neither were readily available for comment by phone. • Funding a $2.5-billion, four-year Everglades restoration and protection program, which represents a $1 billion increase in spending over the previous four years and the highest level of funding for restoration in Florida’s history. • Establishment of a Blue-Green Algae Task Force, charged with making quicker progress toward reducing adverse impacts of blue-green algae blooms over the next five years. • Mandate that the South Florida Water Management District immediately start the next phase of the Everglades Agricultural Area Storage Reservoir Project design and ensure the U.S. Army Corps of Engineers approves the project on schedule. • Creation of an Office of Environmental Accountability and Transparency charged with organizing and directing integrated scientific research and analysis to ensure that all agency actions are aligned with key environmental priorities. • Appointment of a Chief Science Officer to coordinate and prioritize scientific data, research, monitoring and analysis needs to ensure alignment with current and emerging environmental concerns most pressing to Floridians. The last major change of leadership at the South Florida Water Management District was in 2016 Two years after then-Gov. 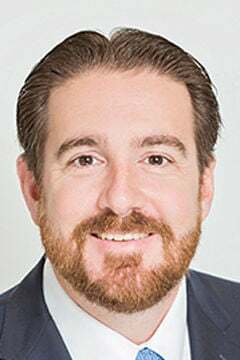 Rick Scott appointed Blake Guillory as executive director, Scott appointed Tallahassee lawyer and lobbyist Pete Antonacci, who served as Palm Beach County’s interim state attorney in 2012, as executive director of the 16-county, 1,530-worker government agency. The district’s governing board at that time voted unanimously to hire him. According to www.sfwmd.gov, governing board members are unpaid citizen volunteers appointed by the Governor and confirmed by the Florida Senate. They generally serve four-year terms. The Governing Board appoints the executive director, who directs all district activities and is also confirmed by the Florida Senate.